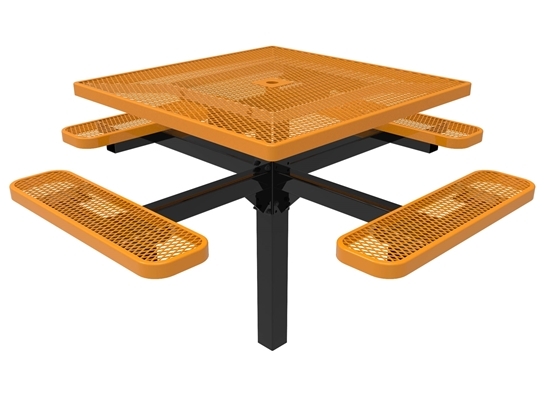 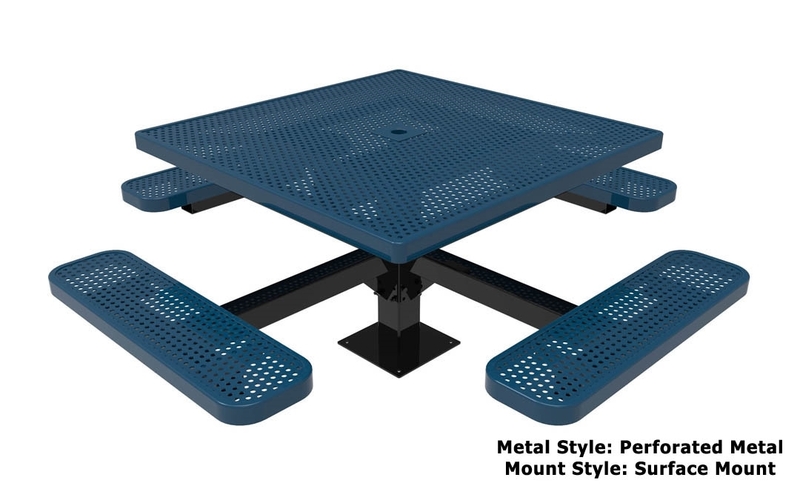 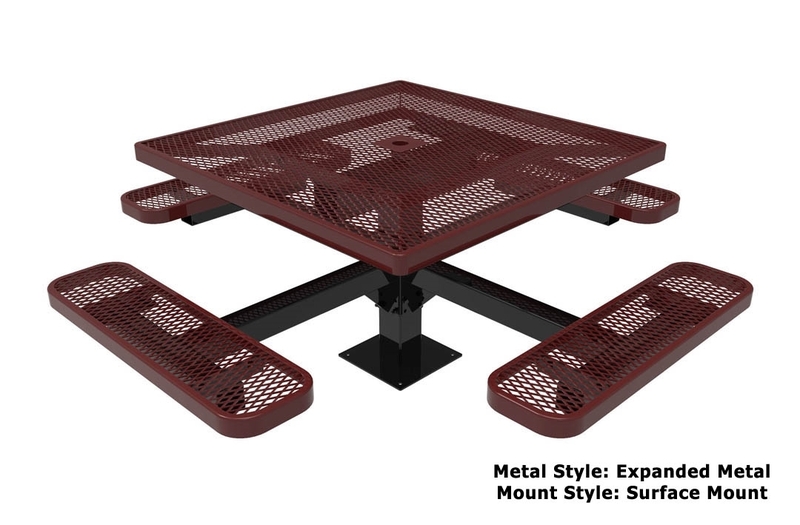 RHINO pedestal picnic tables are made with resistance to vandalism in mind. 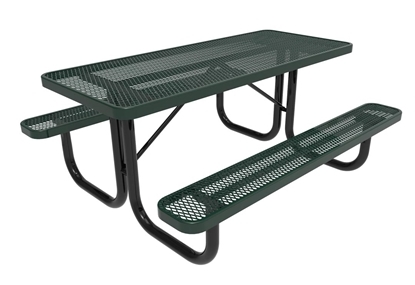 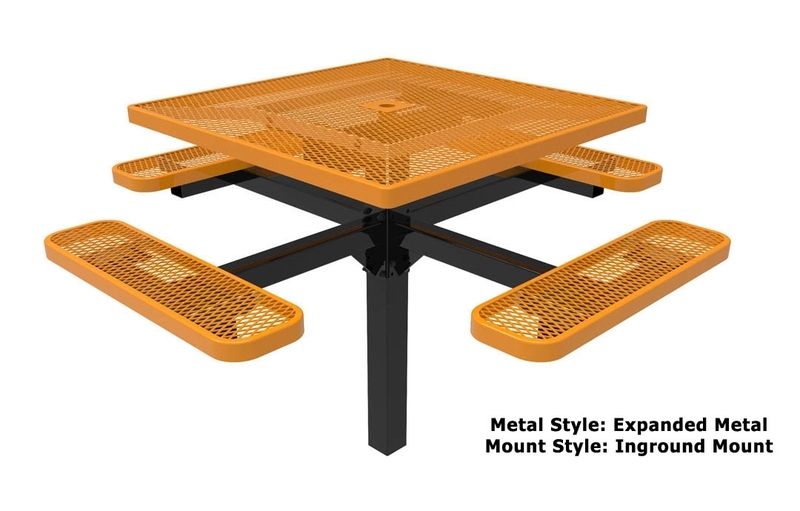 Available in surface mount or inground, this sturdy picnic table is heavy duty and made to last. 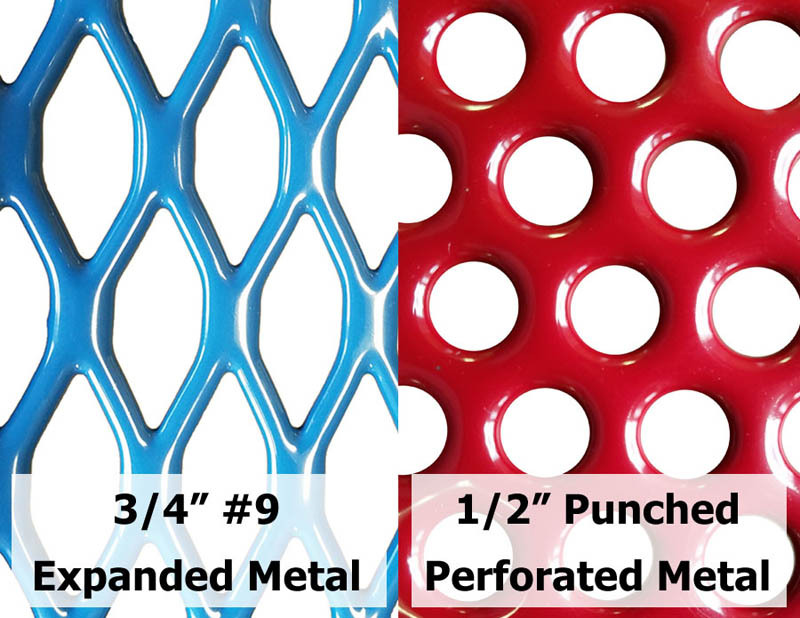 Made with a premium thermoplastic coating with the highest adhesion rate compared to other coatings on the market. 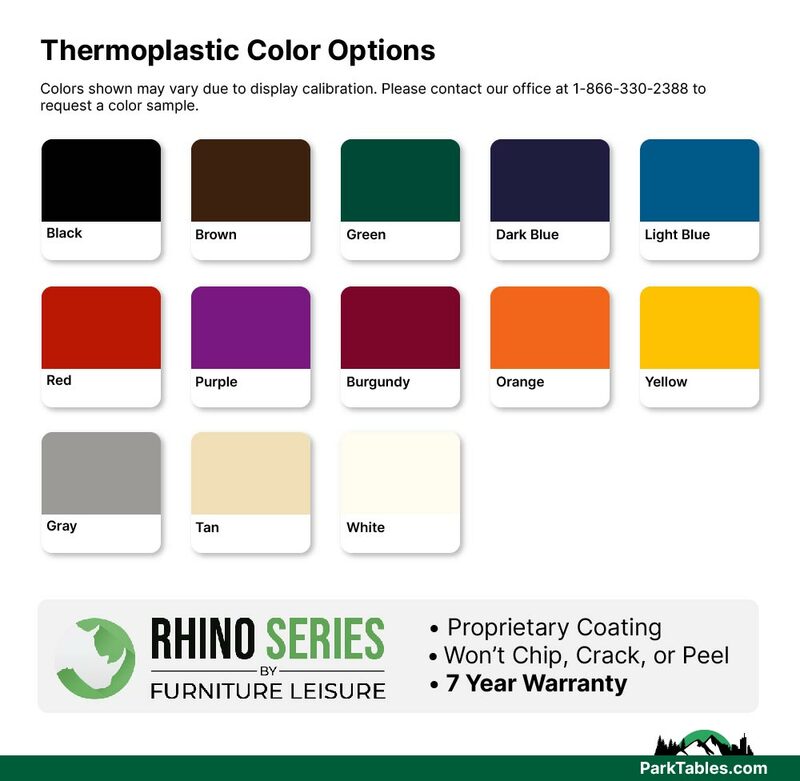 Our RHINO coating has a thick 90% gloss shine and smooth surface that is easy to clean and difficult to scratch. 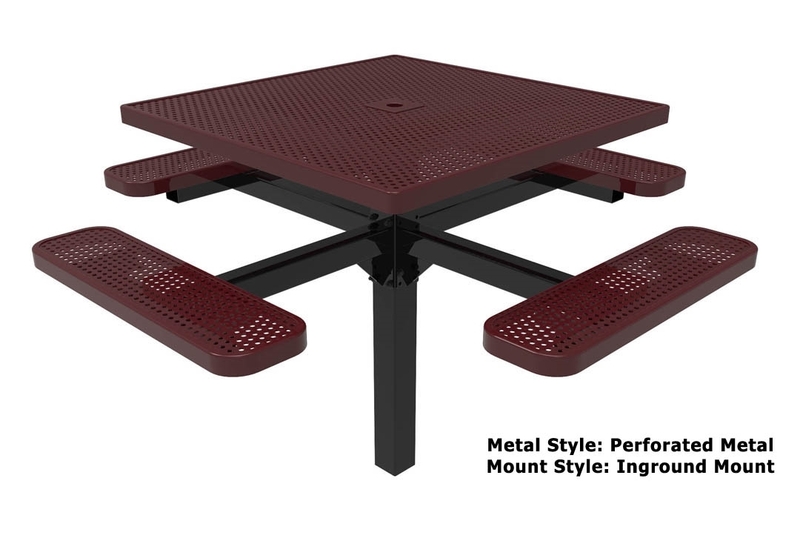 This pedestal picnic table has a unique style that you will not find anywhere else - call today for quantity discounts and fast shipping! • 46" square top with 4 attached seats, seating for 8 adults.